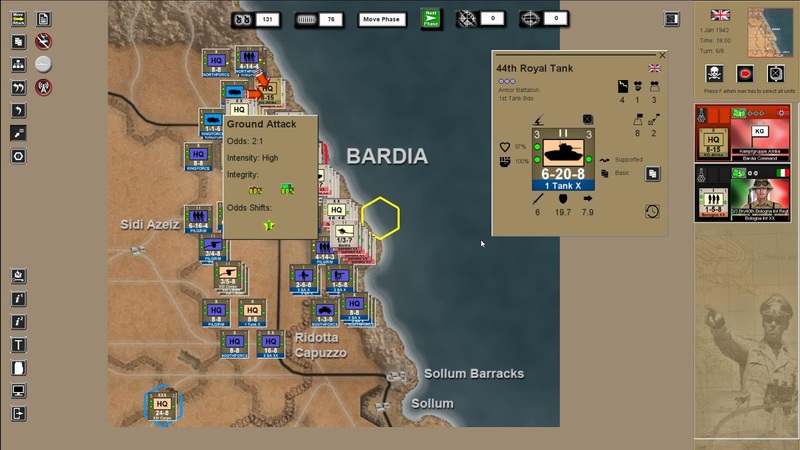 I had a chance to preview the beta for Desert War 1940-1942 (BK Games, published by Matrix/Slitherine). In the video below (make sure to watch in HD at YouTube), a bit of gameplay and notes of the main features from a relatively small scenario in which I command the Italian Ariete Division. All game footage is from a beta and it may not reflect the final product appearance and features.